The iOS 12 GM is right on the horizon for iPhone, iPad and iPod touch users. Here’s what you can except from it. Before we dive into the proceedings, let’s first have a look at what GM (Gold Master) means. What is a Gold Master Release? 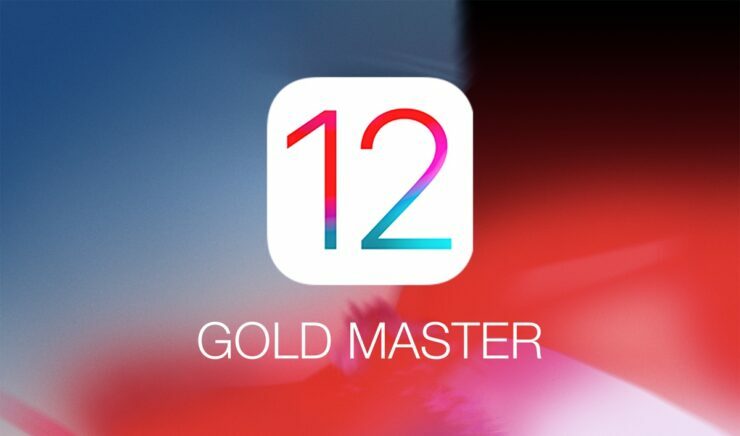 A Gold Master build is the final software release that is meant for developers and testers only. Why only developers and testers? Because in case Apple runs into last minute bugs then the company would have ample time to add some final polish to the software before releasing it to the general public. Though some might dismiss it to be a small release, but iOS 12 is packed with a lot of new features. For example, it has a ton of under the hood improvements that ensures that the OS stays snappy even on older devices like the iPhone 5s. If that doesn’t convince you to upgrade, then you will be pleased to learn that iOS 12 features improvements to Photos, Siri and more. You can learn more about the software’s new features by going to this link. What Will be Missing from the GM? Just like last year, this year’s release is going to skip out on one confirmed feature at launch – group FaceTime calling. In case you can’t recall, Apple announced AirPlay 2 alongside iOS 11 last year, and made it available with iOS 11.4. This time around, Apple has pulled group FaceTime calling from iOS 12 beta, and the company said that it would be available with a later iOS 12.x release. So it’s safe to assume that the feature is not ready for prime-time use, and Apple has other plans for it. There is also a possibility that Apple might actually end up removing another feature or two from the final build, so don’t be surprised if that happens. But on the flip side, whenever Apple removes something that it has announced on stage, it eventually does bring back to the table in a later time-frame. Should You Install iOS 12 GM When it’s Released? Well, it’s essentially the final release, so yes, you can go right ahead and install it. But beware of one thing: there might be a bug or two that eventually would force Apple to either release GM 2 of iOS 12, or just went straight ahead with the final build. But given our experience in the past, it’s a very rare thing – Apple releasing GM 2, so just go right ahead and install it when it’s out. How to Download iOS 12 GM When it’s Released? In the past, Apple has always released the GM build of its software on the same day when it announces new iPhone hardware. So look forward to the Gather Round event if you’re eagerly waiting to download and try out iOS 12 GM. Will My Device Support iOS 12 GM? As long as you have a 64-bit device, and can run iOS 11, then you can run iOS 12 GM too. In fact, you’ll be surprised to learn that iOS 12 is faster than iOS 11 in terms of performance. So it’s a first from Apple that a new software update will actually make your device feel brand new. Are GM Builds Daily Driver Material? iOS 12 GM is under ten days away, so it’s best to make the necessary preparations beforehand. Backup your data using iCloud or iTunes and make sure you have a compatible device with you. You really don’t want to end up being disappointed on the big day.